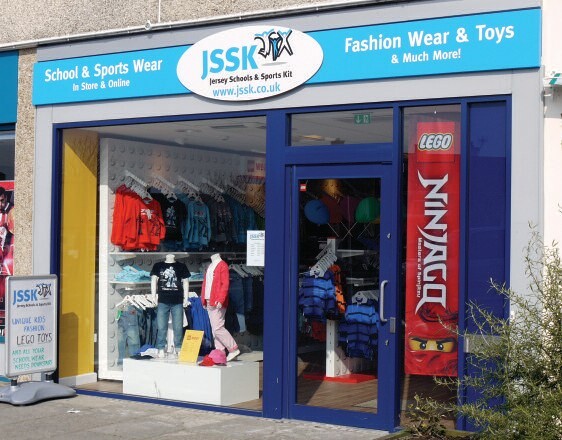 Established in 2009, JSSK, is located in Les Quennevais Parade, St Brelade, selling school uniform, Baby wear and Children's fashion wear and lego toys. Our online service is specifically designed for our School Uniforms to save you time and money with this unique concept in the purchase of school uniforms. At No 3 Les Quennevais Parade, JSSK is a one-stop shop for Primary and Secondary school uniforms, stocking quality and recognised brands at competitive out of town prices and offering an alternative shopping choice for parents. This website is designed with the busy parent in mind, simply select your school on the site and see all aspects of the uniform listed and available to purchase online, then choose to have your order delivered, free of charge, to your school the next working day. A simple no fuss, no quibble returns policy makes the whole process stress free and incredibly easy. Coupled with the uniform business, JSSK also offer a personal service in the sourcing of customized team and sports kit suitable for clubs and associations including corporate and team kit. JSSK offers cost effective printed sports garments that can incorporate multiple branding at single print prices. The family friendly shop is open Monday to Saturday 9.00am to 5.00pm for the traditional shopping experience. There is a small LEGO play area for the younger family members to be kept amused whilst you browse through the large ranges in trousers, skirts, shirts and blouses, coats, tights, socks and underwear, reasonably priced trainers, football and rugby boots from junior sizes through to adult size 14, plimsolls, tracksuits and swimwear and much much more. All of which for schools, you will find here online also.